Jaimie Bleck, Ford Family Assistant Professor of Political Science at Notre Dame, and economist Philippe LeMay-Boucher of Scotland’s Heriot-Watt University received a $90,000 grant to examine the role of Malian discussion groups known as grinw in rebuilding civil society and democracy in Mali, where a recent coup and insurgency has torn apart a state known for inter-ethnic tolerance. “We are interested in the role these indigenous informal institutions play in Mali’s post-conflict reconstruction—and in particular if they are able to help rebuild trust between ethnic groups and faith in democracy,” said Bleck, who also recently won an American Council of Learned Societies (ACLS) fellowship to support her research in Mali. 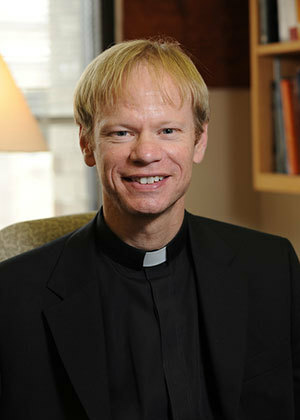 Notre Dame Assistant Professor Rev. Robert Dowd, C.S.C., and University of Virginia economist Molly Lipscomb received a $75,000 USAID grant to study the link between public health, good governance, and democratic politics in East Africa. They are building on a project already underway in western Uganda to examine whether citizens view local leaders who promote public-health initiatives as more popular and effective than other leaders. Both projects, combining regional expertise in Africa with cutting-edge methodology, stem from interdisciplinary research collaborations developed at the Kellogg Institute, where Bleck and Dowd are faculty fellows and Dowd directs the Ford Family Program in Human Development Studies and Solidarity. Bleck and LeMay-Boucher found immediate common interest in West Africa when he arrived at the institute last fall on a Kellogg Visiting Fellowship. 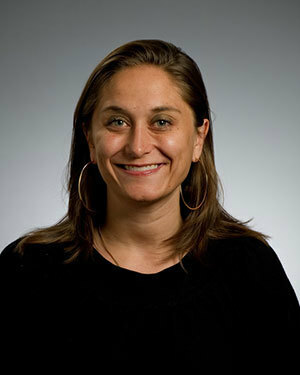 Lipscomb and Dowd’s collaboration dates to her time as a Kellogg faculty fellow, before moving to the University of Virginia in 2012. The projects benefited from initial Kellogg seed grants that the researchers leveraged for additional funding. In the case of Bleck and LeMay-Boucher, the Notre Dame Initiative for Global Development provided expert assistance as the pair developed their USAID proposal. “This is a wonderful opportunity to develop our project in Mali with great flexibility,” LeMay-Boucher said of the new funding. Selected from a pool of 103 proposals, the USAID grants are issued through the Democracy Fellows and Grants Program implemented by the Institute of International Education. The research findings will inform the field programs of USAID’s Center of Excellence on Democracy, Human Rights and Governance (DRG Center), which is integrating human rights, accountability, and civil society issues throughout its core development work. The new grants were made possible with support from the American people and by funding from the DRG Center and the Bureau for Africa’s Office of Sustainable Development. Originally published by Elizabeth Rankin at news.nd.edu on May 16, 2014.